9 From the Dirty Girls’ website. They do great work! 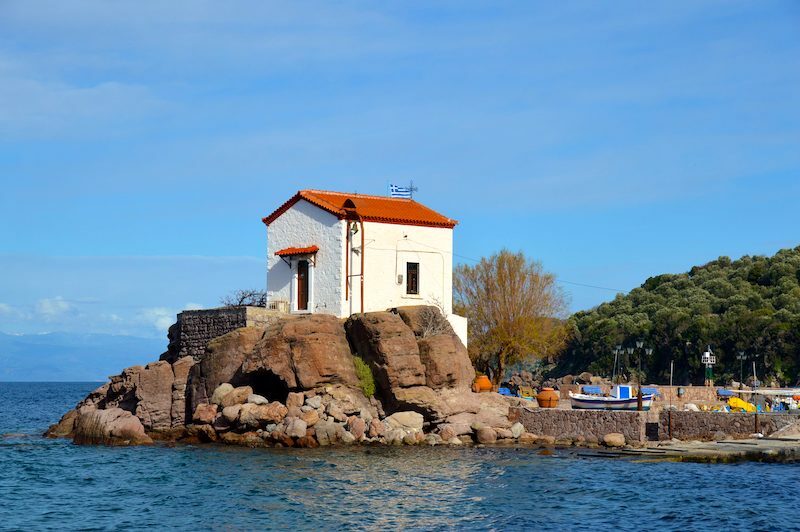 The beautiful island of Lesvos, Greece, is located in the northeast Aegean, around 6 miles west of Turkey. It’s the 3rd largest of the Greek islands with a local population of nearly 90,000. You may have heard of Lesvos or maybe not. 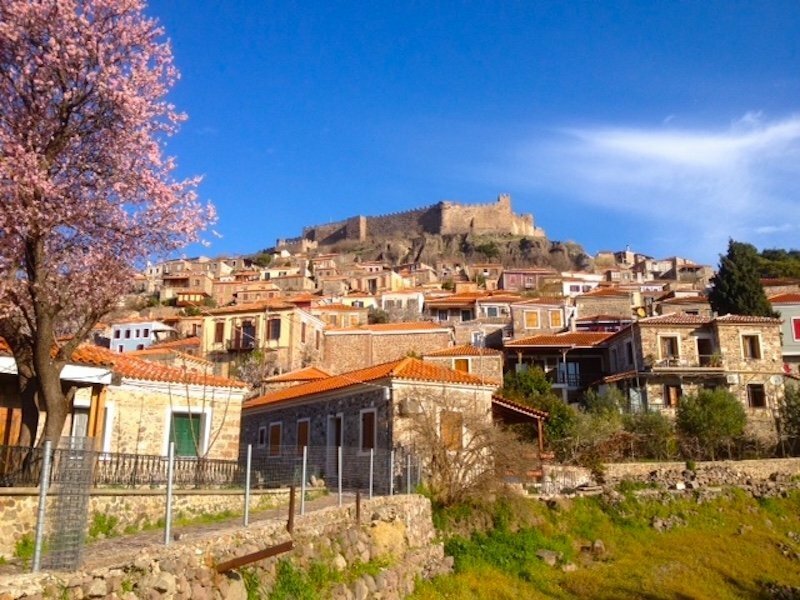 Lesbos, or Lesvos, as it’s often written, is a charming island full of ancient castles, monasteries, mosques, a Roman aqueduct, temples, hot springs, an Ouzo museum and nearly 11 million olive trees! It’s been politically shuffled between Turkey and Greece for centuries, and you see flavors of both cultures very apparent. There is so much to discover and so much history to literally touch….Holidays to Lesvos really should be on your bucket list. 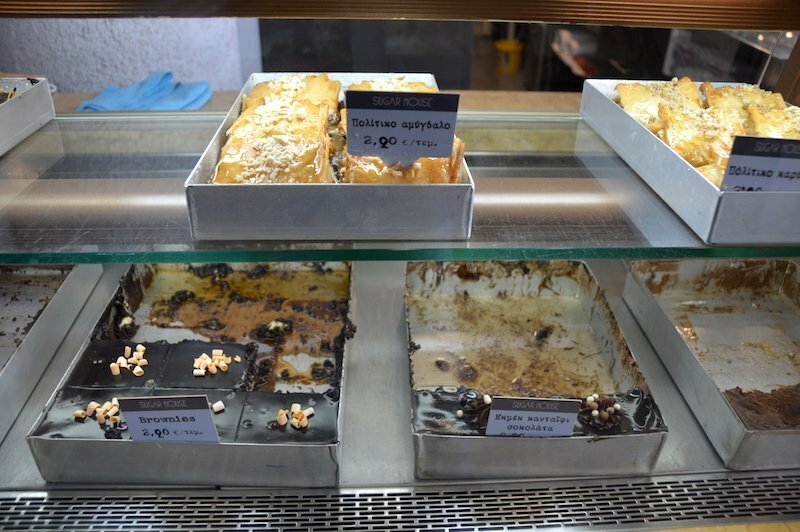 You might want to read the Best Greek Islands to Visit post or if you are heading to Santorini, I have that covered as well. Lesbos’ recent claim to fame is tarnished. This beautifully verdant, volcanic island has been the unfortunate epicenter of the refugee crisis since 2015. Tens of thousands of people fleeing war and economic hardship from Syria, Afghanistan, Iran, Iraq and beyond have landed on her shores. 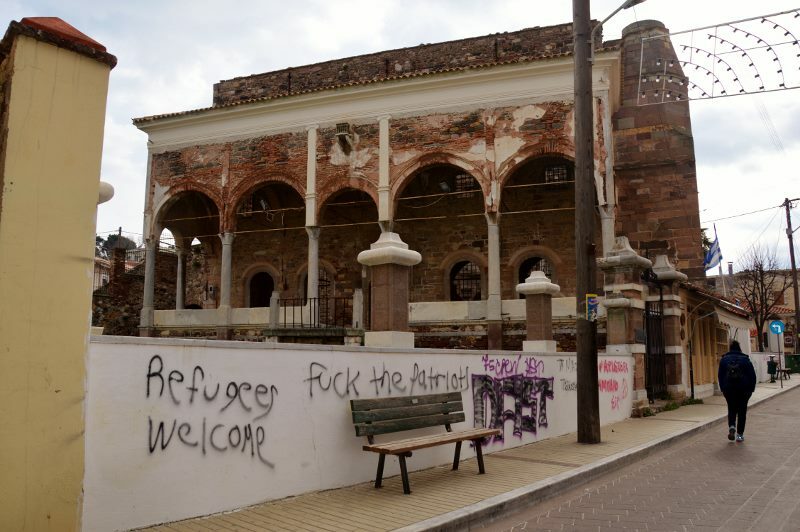 In 2015, Lesvos changed overnight. 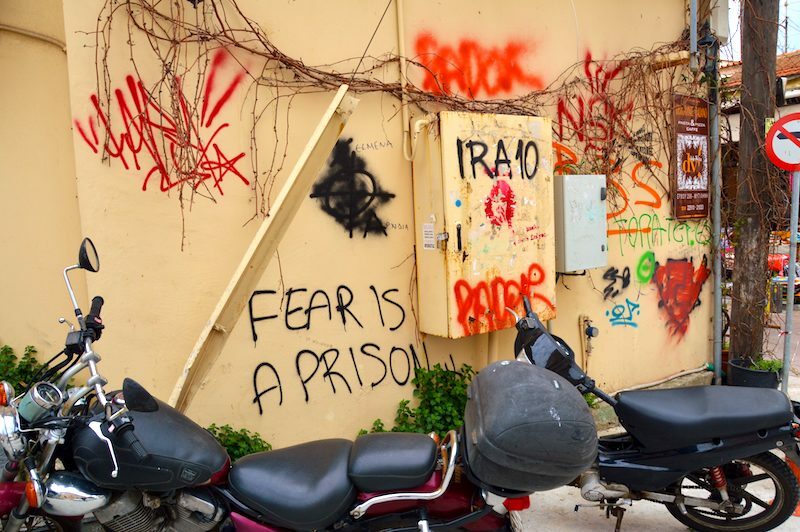 I won’t go into the politics of it all, but I spent three weeks on the island in the heart of the refugee crisis. Nearly 30,000 desperate souls arrived on Mytilene in that month. Most made the sea voyage clinging onto a rubber dinghy wearing ‘fake’ life jackets; some did not. It’s an experience I will not forget. 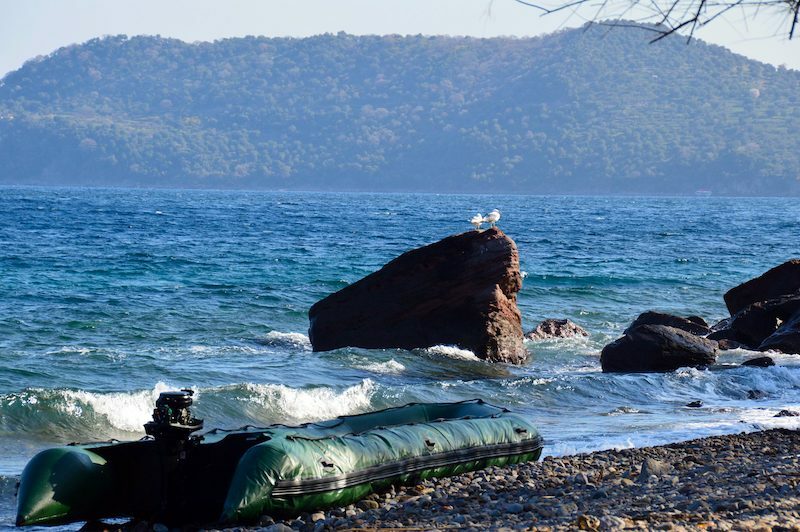 Turkey in the background and a deflating dinghy usually carrying between 50-75 people. Today, I am reminded in the news that the tragedy continues on one of the neighboring islands. And while you might not believe me, don’t let this all put you off. Lesbos is a wonderful island that is regaining its allure as an amazing Greek island tourist destination. 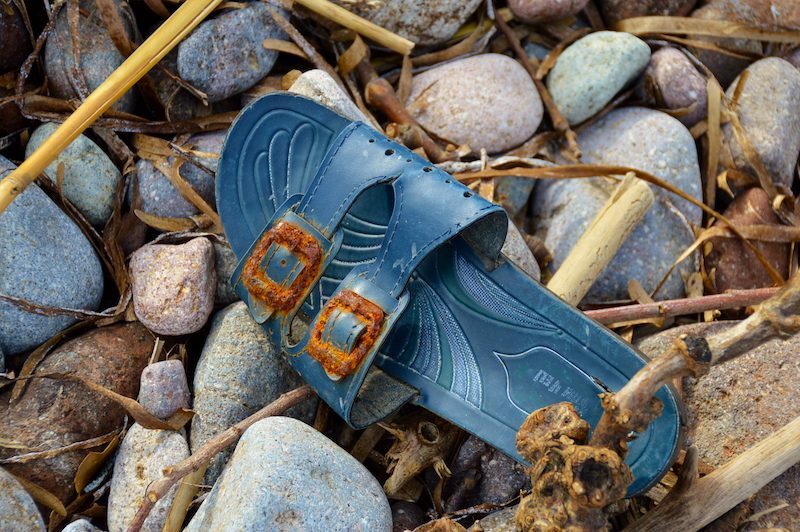 Fewer refugees are attempting to make the treacherous crossing, and systems have improved for those who do. 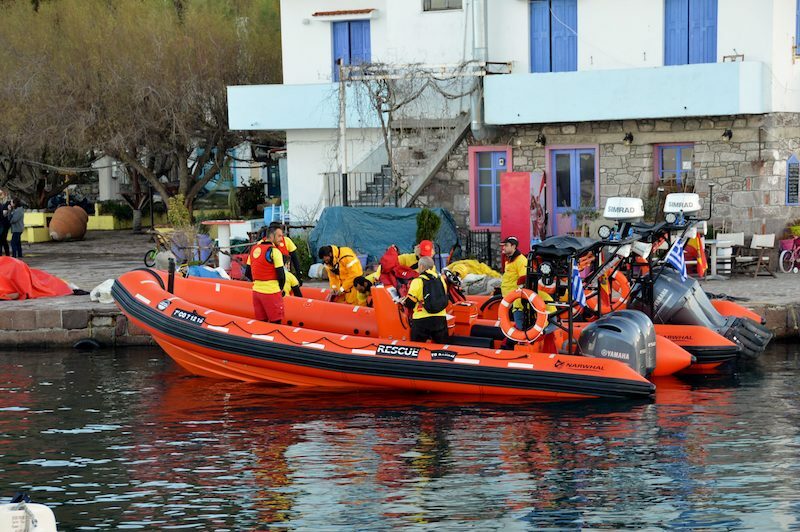 Lesvos is getting back to everyday life and is eager for tourism to return. I hope this photo montage of Lesvos island will shed some light on the beauty and the beast of an island, literally, in transition. 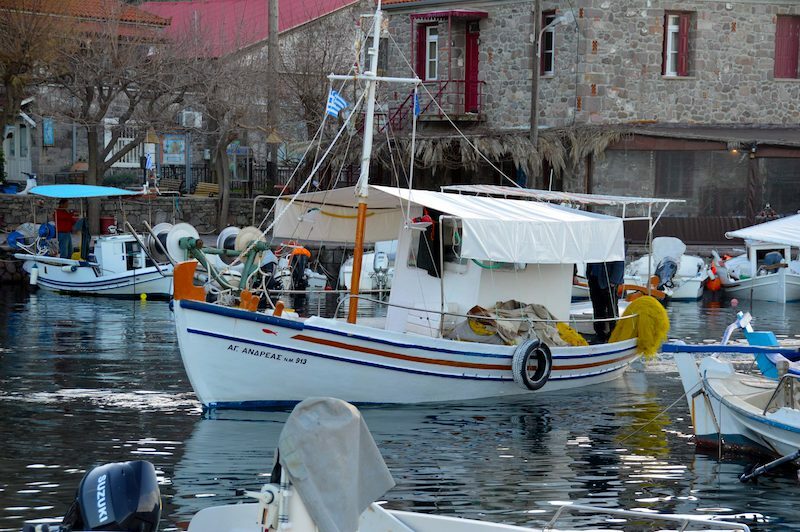 Lesvos Greece holidays are once again on the rise, along with travel to the rest of the Greek islands in general. Book your accommodation on Lesbos today! Click the link below. Lesbos, or Lesvos, Greece, is also referred to as Mytilene, the name of the capital of Lesbos. And Mytilene is also written as Mytilini or Mitilini. Take your pick! 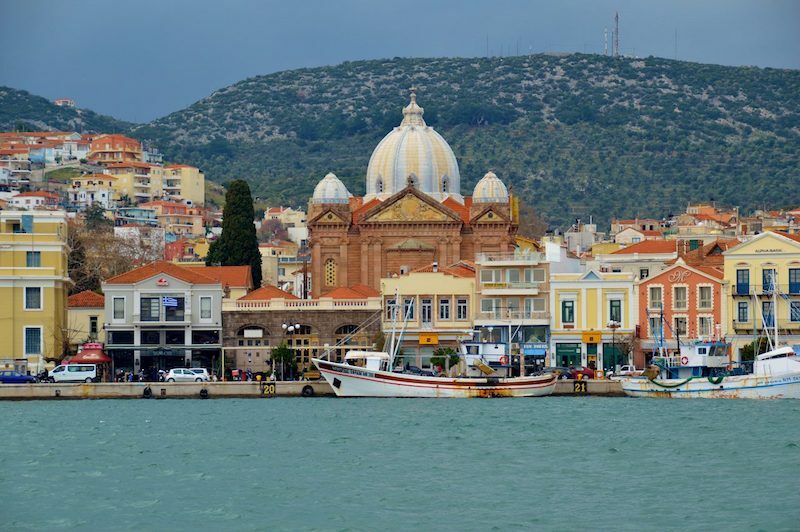 Mytilene has a population of 30,000, nearly 1/3 of the island’s population. Lesvos’ airport is in Mytilene (Airline Code MJT) and there are international flights to Lesvos from the UK, the Netherlands and Austria depending on the season. There are also year-round flights from Athens to Lesbos. From Lesvos airport, you can easily reach Mytilene via taxi for roughly $12. The best times for holidays to Lesbos, Greece are from March through October. 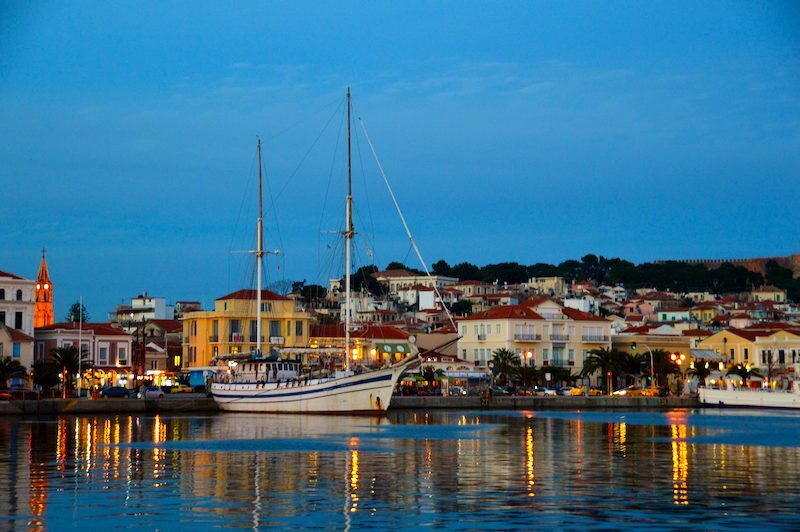 The first thing you see in Mytilene is the idyllic harbor area with welcoming restaurants, cafes, shops and bakeries. A good number of Lesvos’ hotels are there and numerous Bed & Breakfasts are within walking distance. The harbor buzzes at night, and it’s a great spot to meet friends for drinks or dining alfresco. 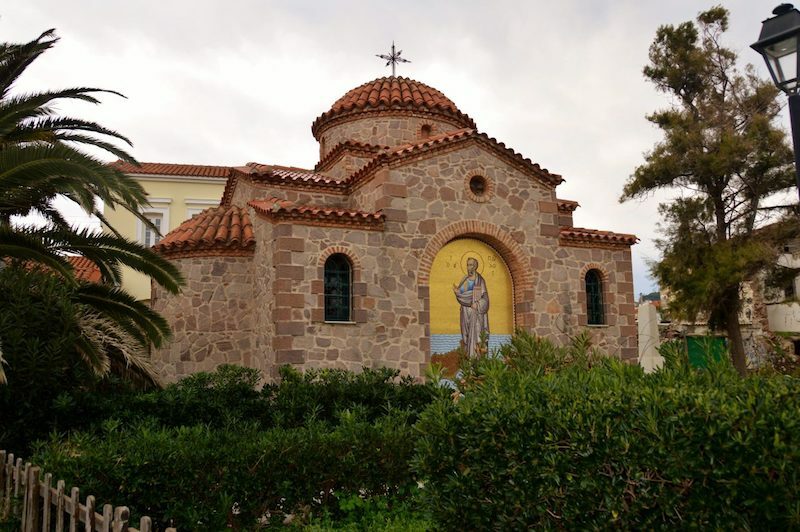 The main site in Mytilene is the beautiful St Therapontas Orthodox cathedral, set back from the harbor. 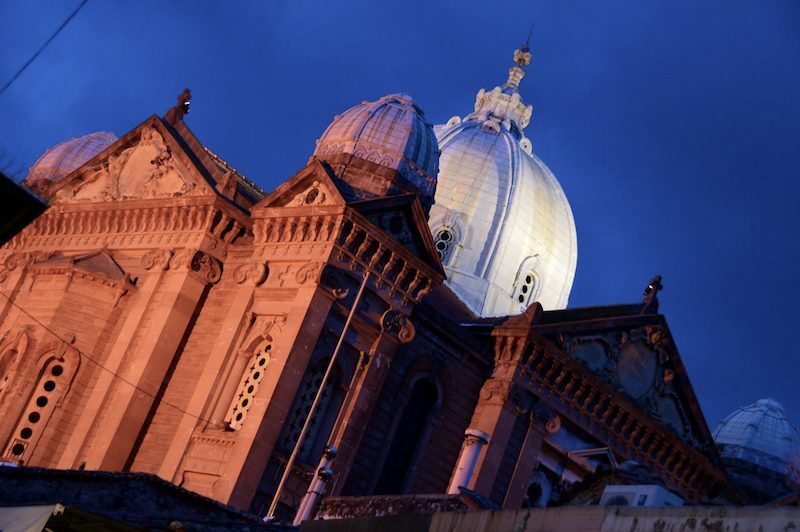 The cathedral, built in the 1800’s, displays contemporary architectural trends of Baroque, Rococo, Neoclassic and Gothic styles. Lesbos is very mountainous and you can see the hills and olive trees dotting the landscape. The Orthodox Church of St. Paul was built in 2006 in honor and remembrance of St Paul’s visit to the island. 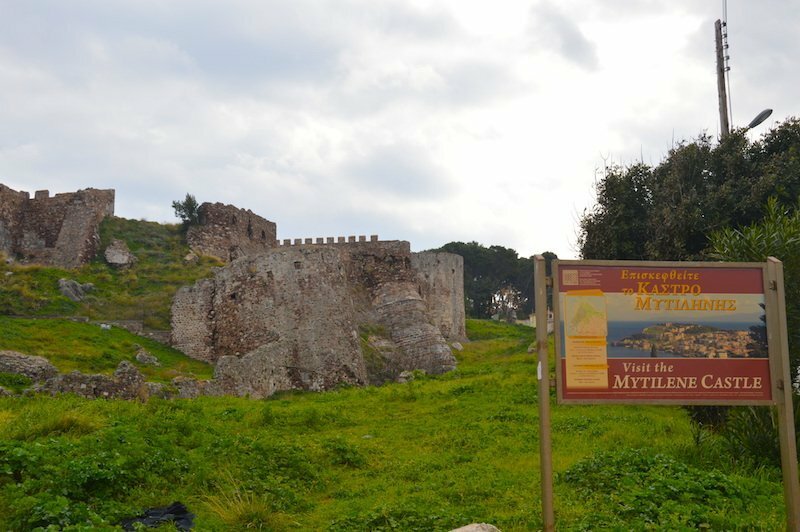 You can also visit the Mytilene Castle just north of town on your holidays in Lesvos. It’s one of the largest castles in the Mediterranean and one of the strongest fortresses constructed. Head to the other side of the harbor in Mytilene if you want to take a Greek ferry boat to another island. When I was there, many refugees bought tickets to go to Athens to continue their journey. Otherwise, this is where to go for island hoping around the Greek Islands. 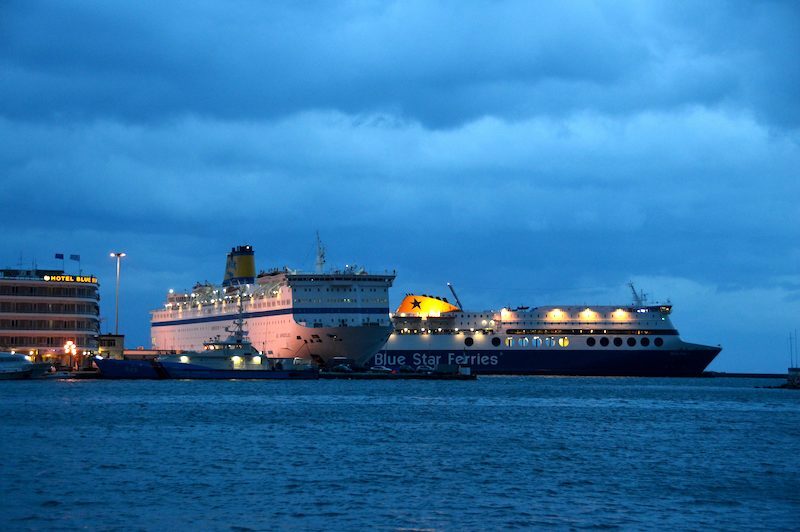 The best ferries for Greek island hopping are Blue Star Ferries. 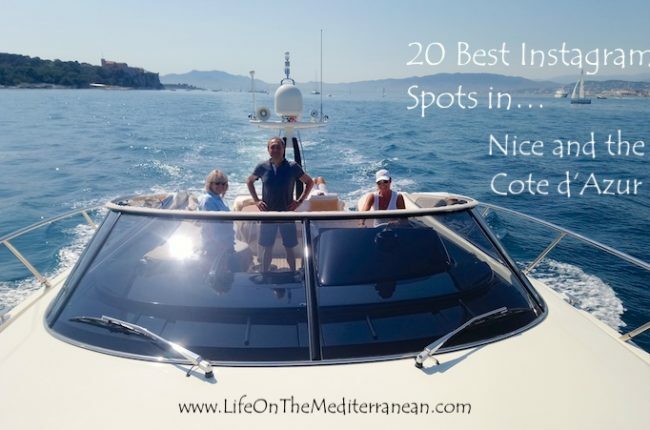 They offer very efficient service and the boats are well maintained. I met some fun friends onboard in the 1980’s and traveled around the Greek Islands with them for several days. 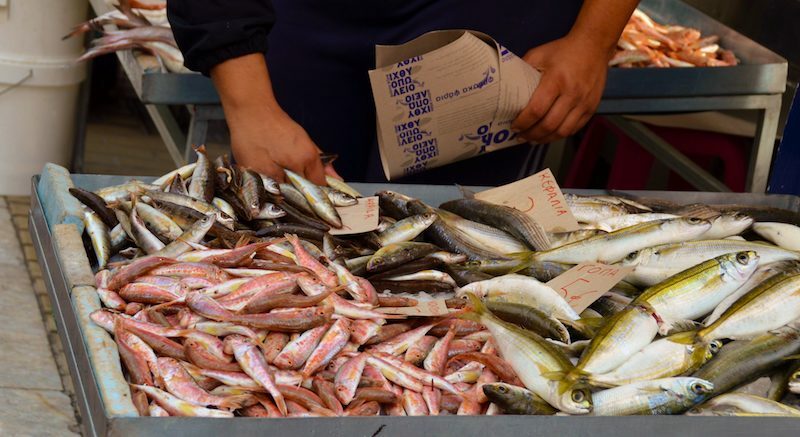 You still see local fishmongers selling what is freshly caught off the shores in Mytilene, and the town is flooded with places to buy fresh, local bakery and pastry items. Lesbos is an island where you never know what’s around the corner. It may be human or animal…. Or maybe you’ll fall in love with a little feline that you want to take home with you!? 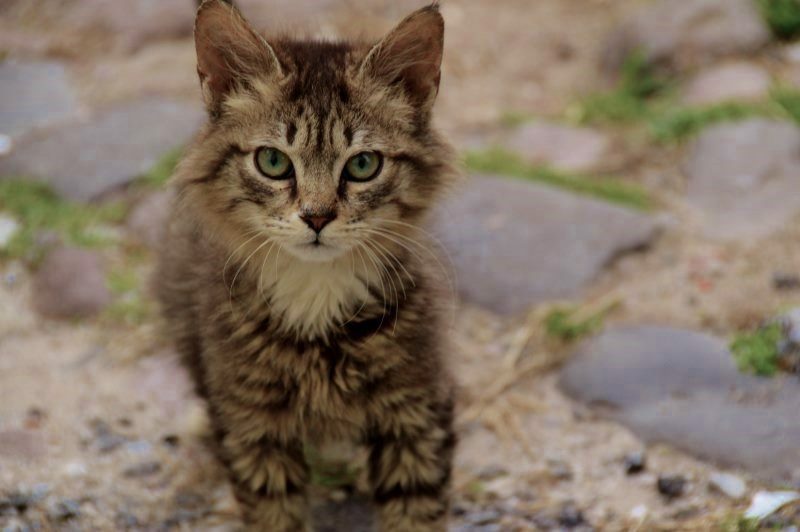 There are loads of cats on Lesvos. You will stumble upon hidden coves and quaint harbors like the one above at Skala Sykamnias. I stayed in Skala for a few weeks when this little harbor town was the hot spot for refugees arriving from Turkey. 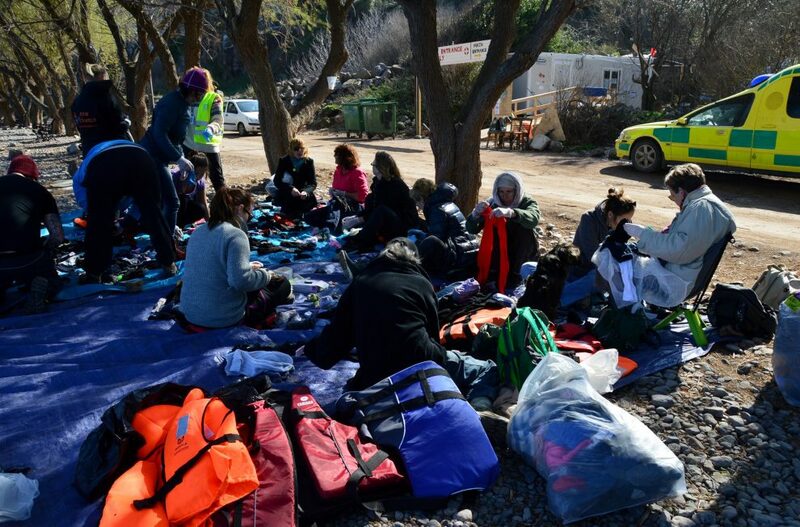 Several hundred volunteers, who lodged and camped along the shores, stayed in Skala as well. Another Skala to discover is Skala Kallonis, which is 27 miles west of Mytilene. 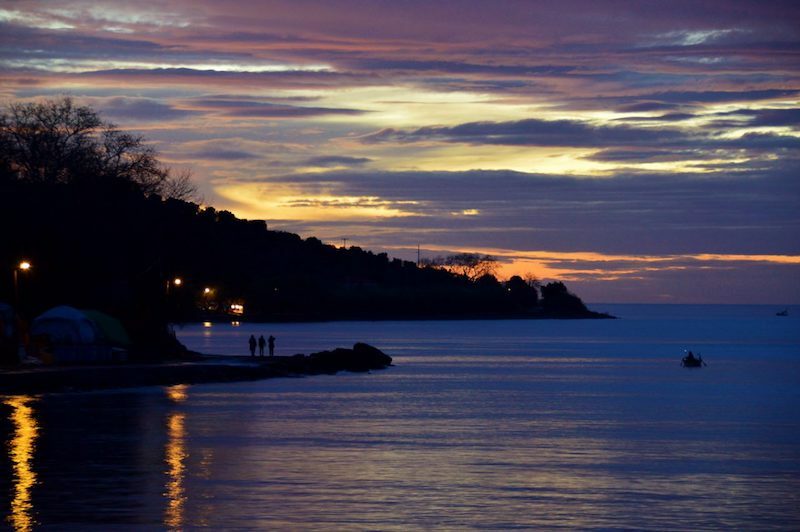 It’s on a picturesque and protected bay, and you’ll find one of Lesvos’ best beaches there. 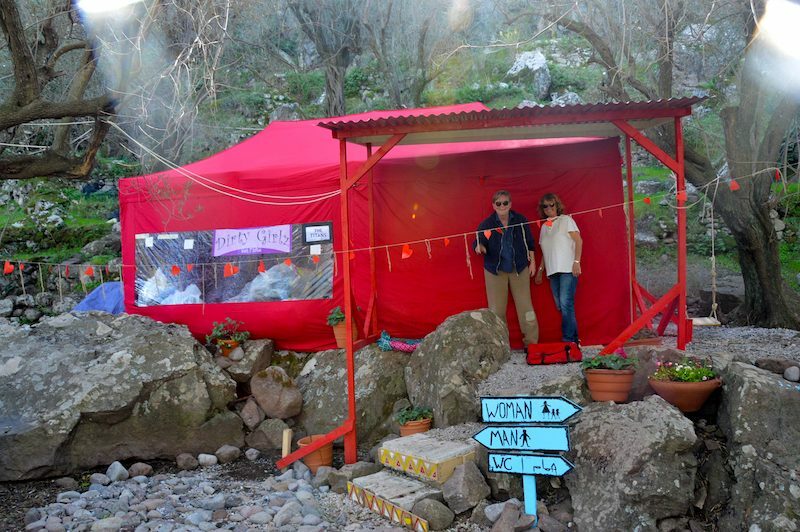 This is a great part of Lesvos for families. It’s quiet and gives you an authentic feel to how the island lives. There is a great lookout point from the Chapel in Skala over the waters between Greece and Turkey. This church is referred to as the Church of the Mermaid Madonna. 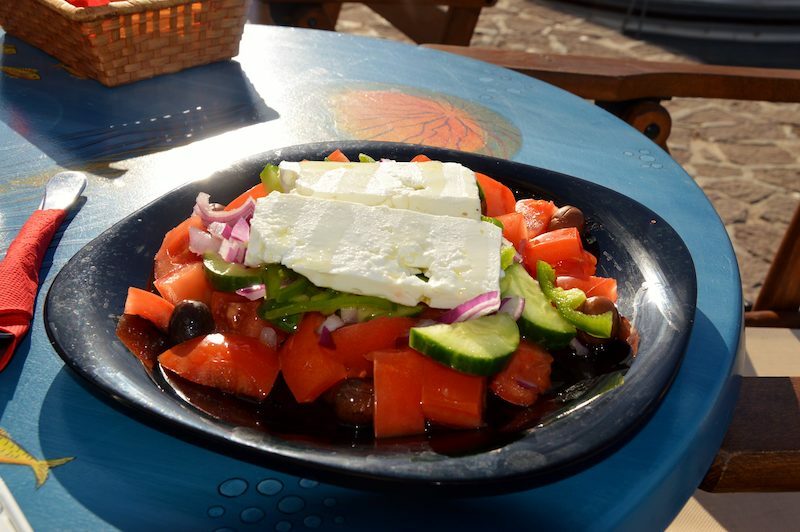 But one thing is for sure – You will find a tasty Greek salad and fresh local specialties no matter where you pop into to dine. Olive and fruit trees, and other produce are grown all over Lesvos. Did you know nearly 40% of the island is covered in olive trees! 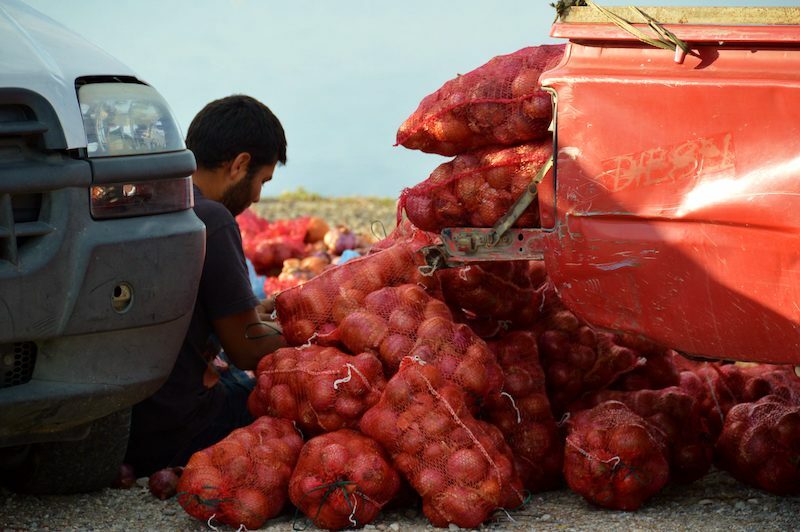 You frequently see local vendors selling sacks of onions and other produce by the roadside. They are simple people making a simple living. Lesvos is a place where everyday life still takes place regardless of what is happen on her shores. 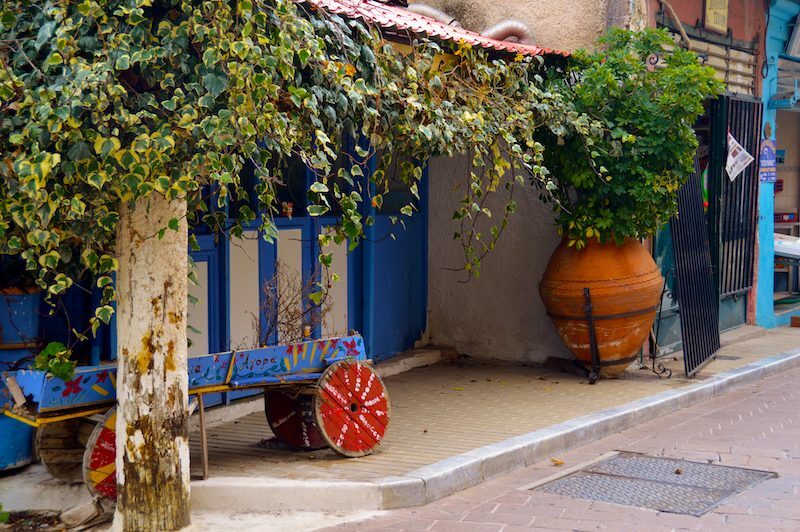 The lovely village of Molyvos is another great spot to base yourself for your holidays to Lesvos. It’s in the northwest part of the island and has a small population of around 1400. 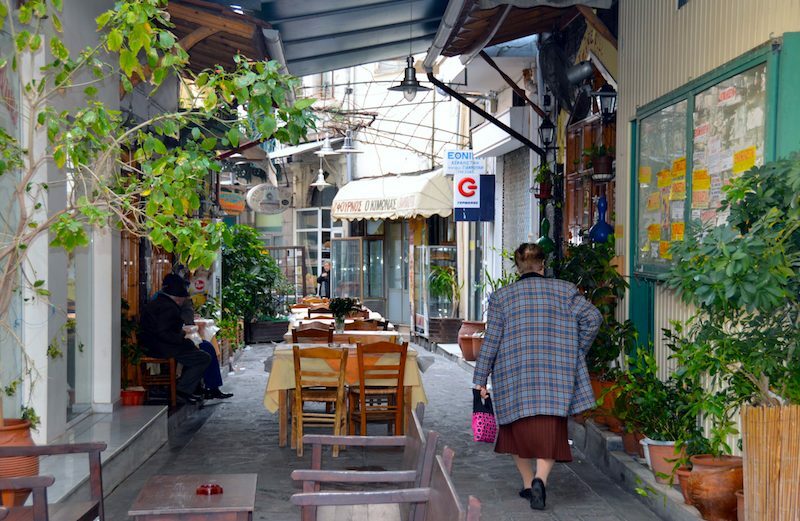 You’ll find cute shops and cafes and it’s a great place to stay to get a sense for what living on a Greek island is like. When you see the Castle on the hill, you know you are in Molyvos. The Molyvos Castle is the second largest and most important fortress on Lesvos dating back to the Byzantine Period. 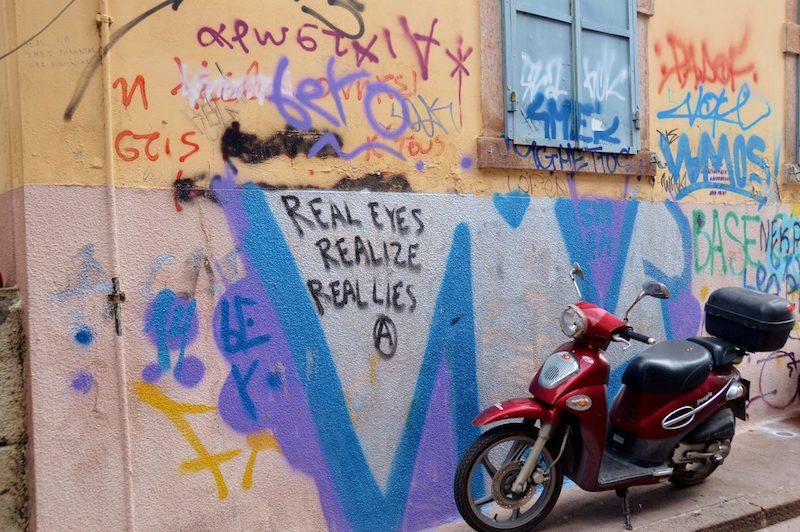 You can’t help but see graffiti everywhere as you walk around the little streets of Mytilene. Much I couldn’t read because it was in Greek, but what I could, said something to me. 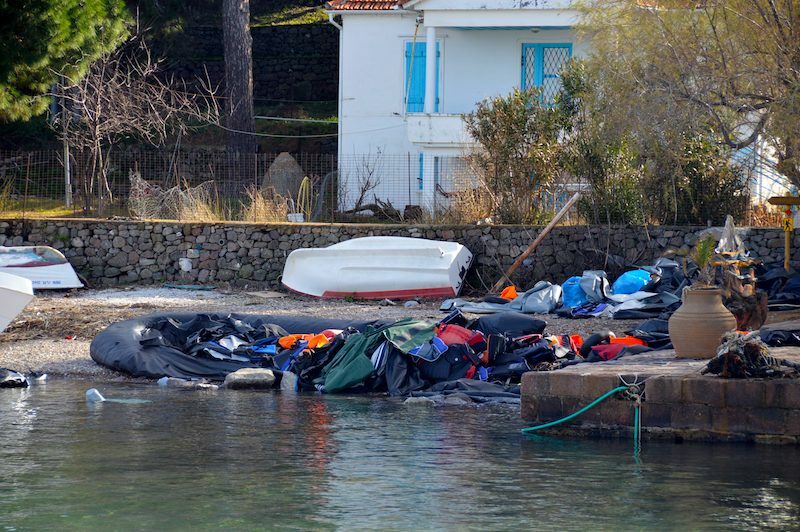 You’d often find deflated boats and debris resting on the shores and harbors, like that of Skala above. This young boy arrived about an hour earlier, and is wearing a change of clothing and a backpack provided by volunteers. He’s gazing at Turkey, where he probably waited to cross with his family for months. I wonder where he is today. 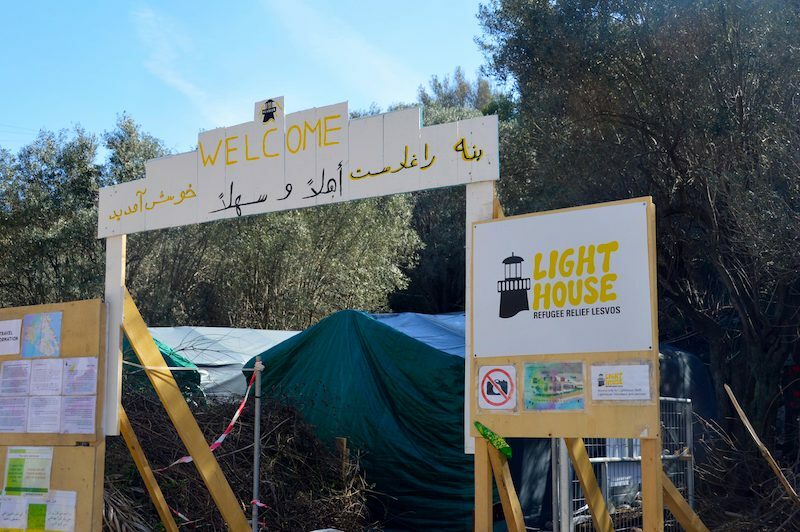 Lighthouse Refugee Relief was one of the many makeshift camps that volunteers created to assist the refugees on Lesbos. There are still 5000 refugees stuck in Moria Camp, which is referred to as hell. I’ve seen it, but won’t post it here. Lighthouse camp has long been dismantled. We loved the Spanish Rescue Crew. They are a rescue crew who brought their own boats from Spain to help with the efforts. They were in the water day and night in case there was a distress call. This crew was even arrested once after they went out to help a sinking boat. The crew was accused of smuggling because the boat was in international waters. 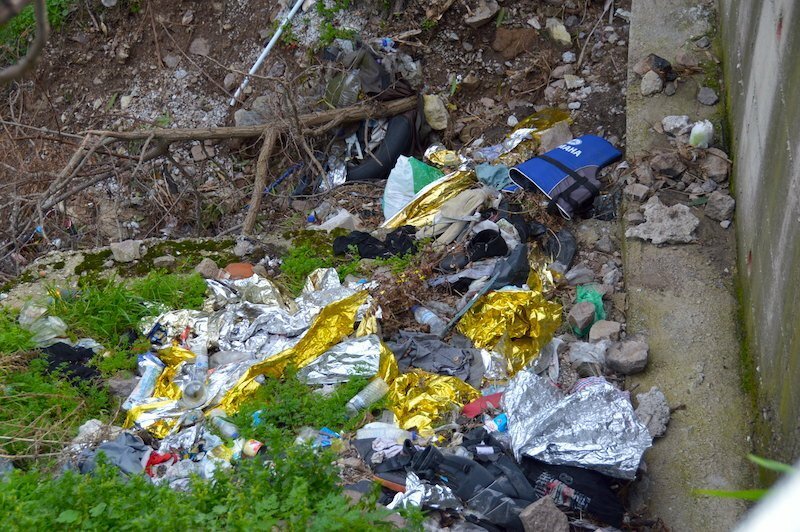 You find roadsides littered with debris, clothing and life jackets discarded by the refugees. Many walked 30 miles to reach Mytilene in order to register and take the ferry to Athens. 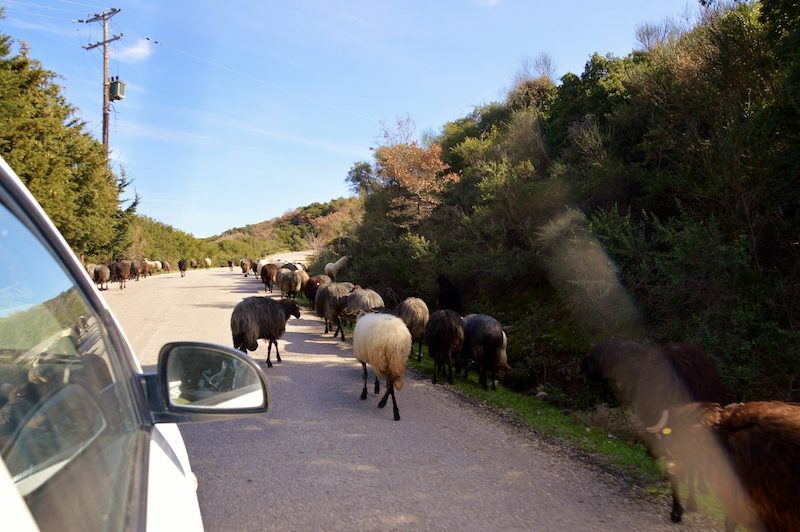 In normal conditions, it would take over 10 hours to walk from Skala to Mytilene. In February, the conditions are freezing and it is snowing. There were facilities for men, women and families inside LightHouse Camp. The refugees could dry off, get some tea/biscuits, a change of clothing and rest. 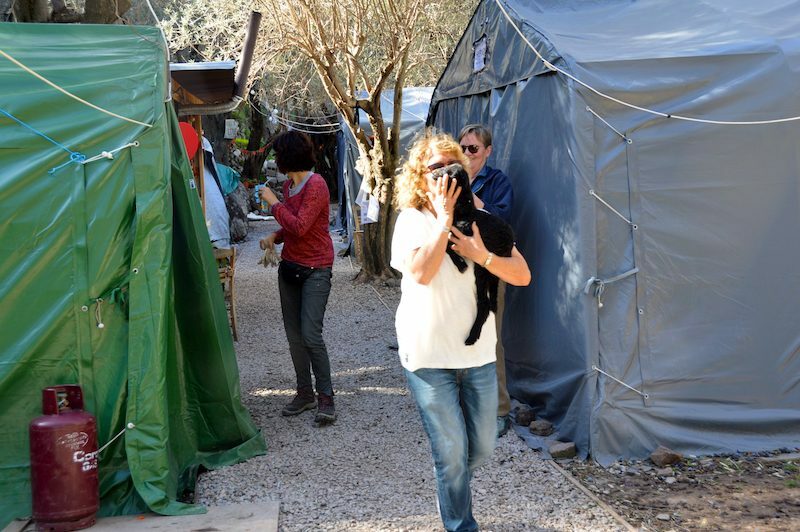 Thanks to an organization lead by Alison Terry-Evans, called the Dirty Girls of Lesbos, thousands of refugees received clean, good-condition clothing laundered on the island. That’s where I worked while on Lesbos. Even the actress Susan Sarandon participated as a Dirty Girl for a bit. From the Dirty Girls’ website. They do great work! 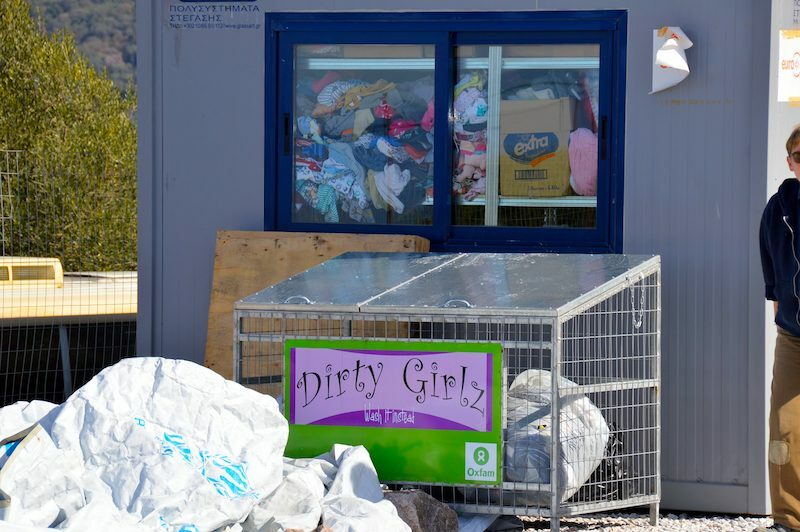 “Dirty Girls was initiated in 2015, so that good quality wet and dirty clothing discarded by thousands of people fleeing war and terror, arriving by sea on the island of Lesvos, would not be trashed. Dirty Girls uses huge capacity machines, washing to hospital standards. Washing their blankets and sleeping bags is necessary for comfort, health and dignity. Without Dirty Girls washing them, they would be trashed and replaced. Dirty Girls operations are funded by donors from all over the world: people with a common compassion for other people who have become refugees, and a concern for our shared environment. Alison Terry-Evans and volunteer, Anita van Nuenen, are in front of the Dirty Girls tent at Lighthouse Camp. We offered clean blankets and clothing to newly arriving refugees. We also sat with the refugees at night, around the campfire, to make them feel safe and welcomed, or simply to listen to them even if we didn’t speak their language. People drop items off into the collection bins that are dotting the island. Every day someone collects the contents and take them to the laundry. 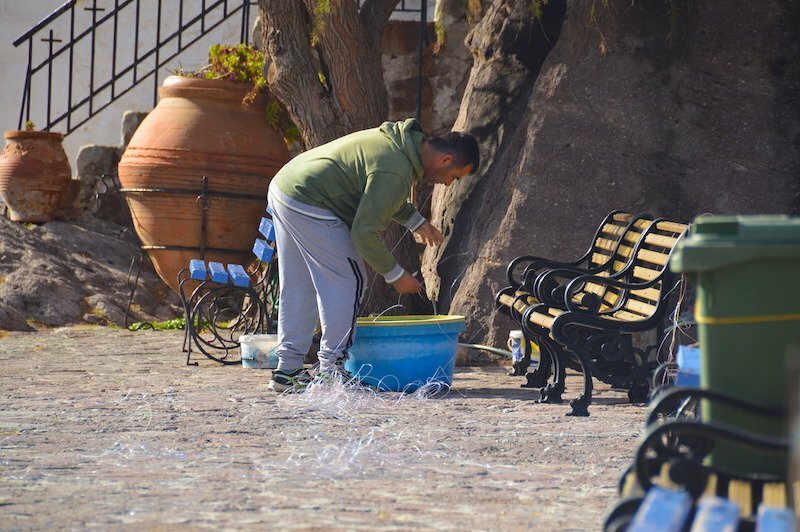 Things are much calmer now on Lesbos, and the locals have returned to their everyday activities. There are very few refugee arrivals on Lesbos, and I can’t help but think this refugee crisis has left many locals wondering if the tourists will ever return. The good new is that Greece is now experiencing one of the largest growths in tourism in years, and Lesbos is an island you must see. 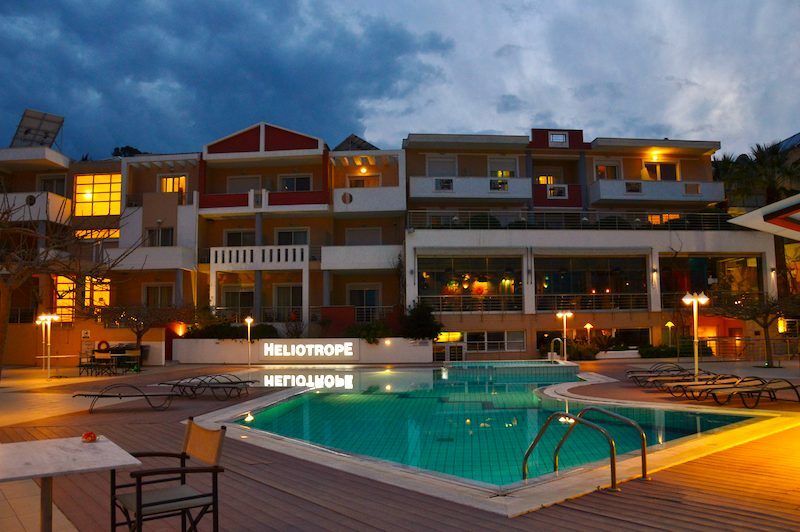 There are a lot of hotels and guest houses in Mytilene itself. And if you want a city to base yourself for your holidays in Lesvos, Mytilene is a great location. I’ve personally stayed at Motel Nikos in Mytilene, that had a large bedroom and bathroom just 5 minutes from Mytilene harbor. A 3-night stay was $100. I stayed at Pension Niki in Skala in a small studio loft with kitchen facilities and a bathroom downstairs, and a double bedroom upstairs. Hotel Gorgona in Skala is also lovely with a nice breakfast in the morning. Most of these guest houses cost about $40 a night for two. Also check out Heliotrope Hotel near the airport. It’s a 4* hotel for $70 a night with breakfast, and just 5 minutes from the airport. For the best prices on hotel accommodation on Lesvos, click the link below and change your dates. Have you been to Lesbos? 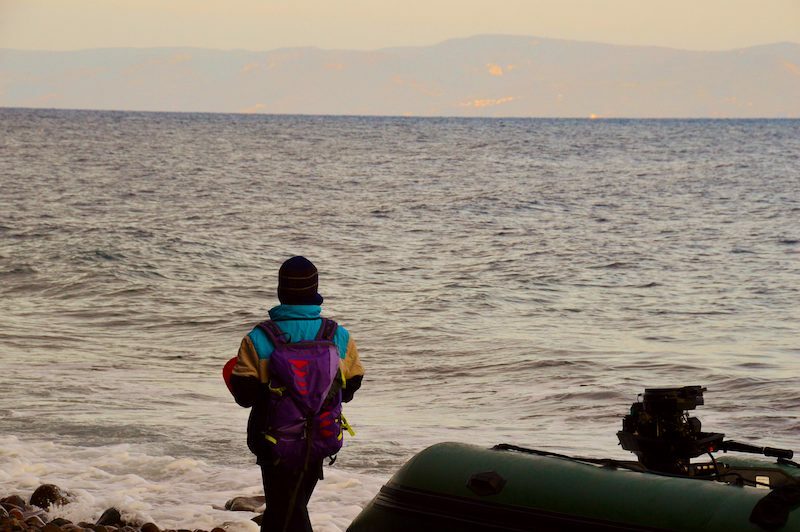 Have you volunteered on Lesbos? What are your thoughts about spending your holidays on Lesvos these days? Please drop me a line. Would love to hear about your impressions. Important FTC disclosure: This post includes an affiliate link, and if you click on it and buy something, I’ll possibly make a small commission. Don’t worry, you won’t be charged extra for it.